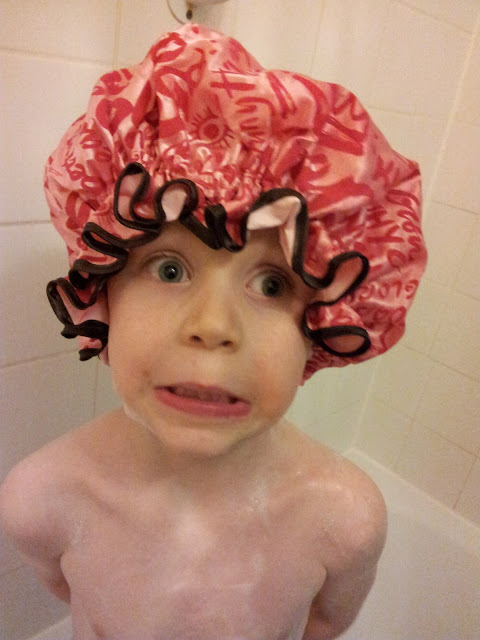 What is cheeky Jamster up to here in my shower cap? You can link up your own picture or view more over with the beautiful Mammasaurus. Ha! LMAO! The shower cap's the least of my worries - FLOATER! I asked for a blue shower cap. Blue! Saturday is shower cap-on day! Oh my goodness, you've turned me into a Granny! Oh no she's only gone and taken a photo of me in this silly hat. Aaarrgh, don't look now Mum but there's a big spider behind you!! Look, I don't care if my face stays this way if the wind changes, just get this stupid hat off me! 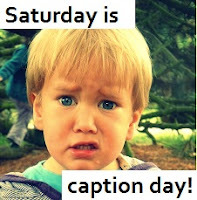 Oh no, this picture will definitely be used to embarrass me when I am older! If I pull this face, I look just like mummy! quick take the picture for satcap before the wind changes!